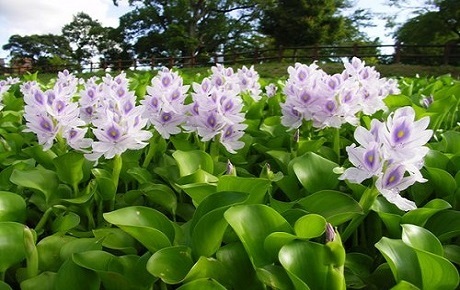 Water hyacinth (Scientific name: Eichornia crassipes; Local name: Meteka) is considered as the most productive plant on earth, as it yields more than 200 tons of dry matter per hectare per year under normal conditions. On water containing high concentrations of sewage, it yields up to 657 tons of dry matter per hectare. 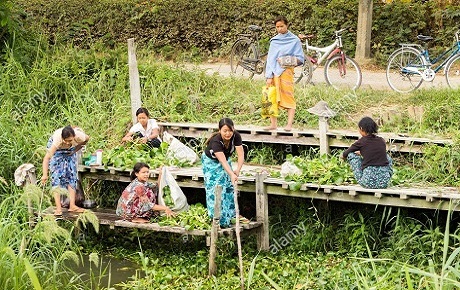 In Assam, water hyacinth is seen in abundance in almost every river body of the state, right from big lakes to household ponds in villages. 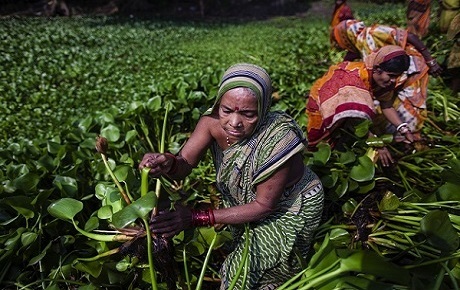 For a long time, the aquatic plant was considered only as a waste and was either cleared up or left unused. “The plant is far more productive than the crops that have been carefully cultivated by man under near-ideal conditions of fertilization, irrigation, and pest control,” wrote John Bunton in an article which appeared in Far Eastern Agriculture. It enhances water loss by 2.5 to 3 times due to evaporation. 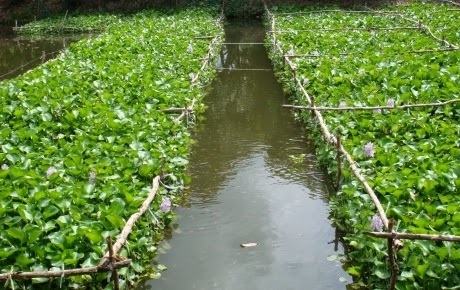 Reduction of Bio-diversity: Other aquatic plants have difficulty in surviving. 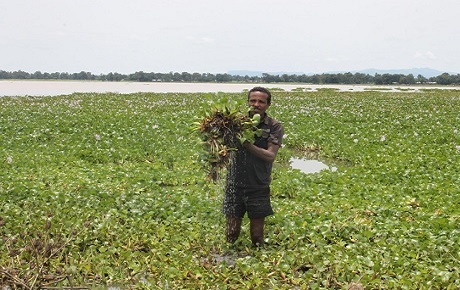 Diversity of fish stocks is often affected from proliferation of water hyacinth. 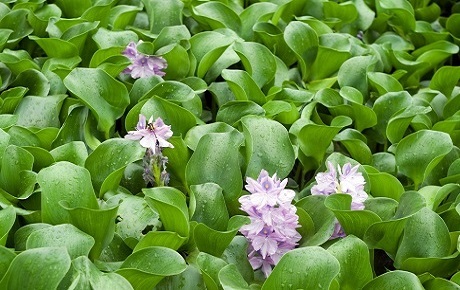 Sediment level increases with increase of water hyacinth. Source of breeding ground for mosquitoes and other parasites. 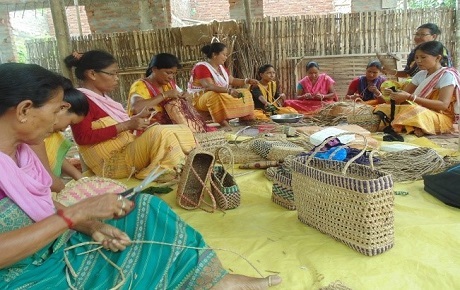 Opportunity to earn as per the skill level of the artisan: - -Unskilled:- 15 paisa per piece of dry steam -Semi Skilled :- Braid & Rope : Rs. 2 to 3.5 per meter -Skilled: Finished Products with value from Rs. 40 in a coin purse to Rs. 30,000/- in furniture set. 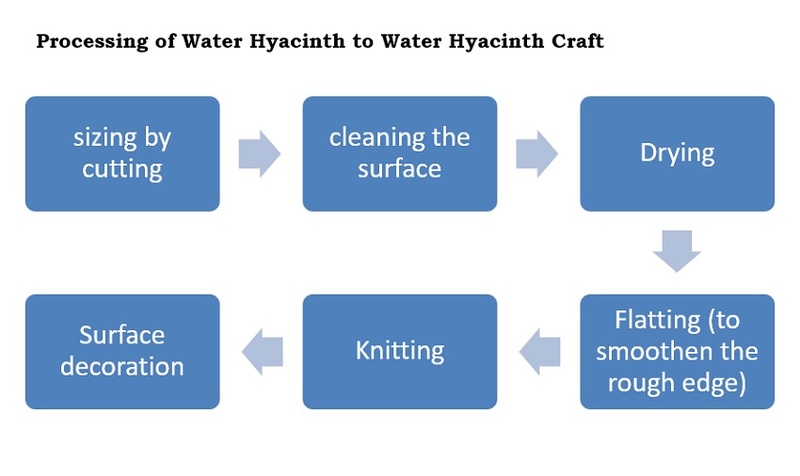 A systematic approach to promote Water Hyacinth Craft as a sustainable Livelihood option, marketing linkage has to be established and tracking of the growing needs of customers is also to be kept in account. 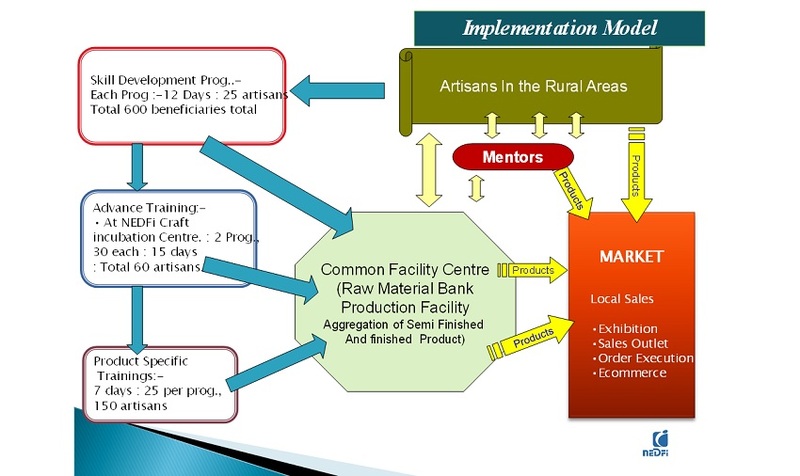 Thus, the following initiatives are to be undertaken in realizing the goals of establishing a sustainable Market Linkage. Establishment of six Common Facility Centre in all the six targeted districts and make it sustainable in long run. Organizing 18 nos. 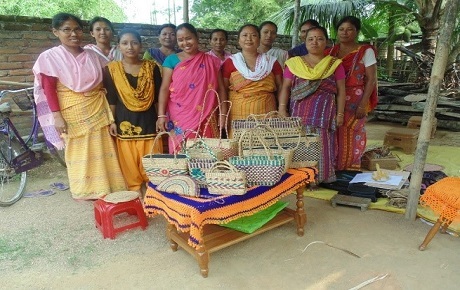 of local, regional, national level exhibitions to promote Water Hyacinth Craft in Assam. Linkage with marketing organizations like NEHHDC, ARTFED as well as NEDFi showrooms and online marketing agencies.